Chile or Argentina: which country is more expensive? 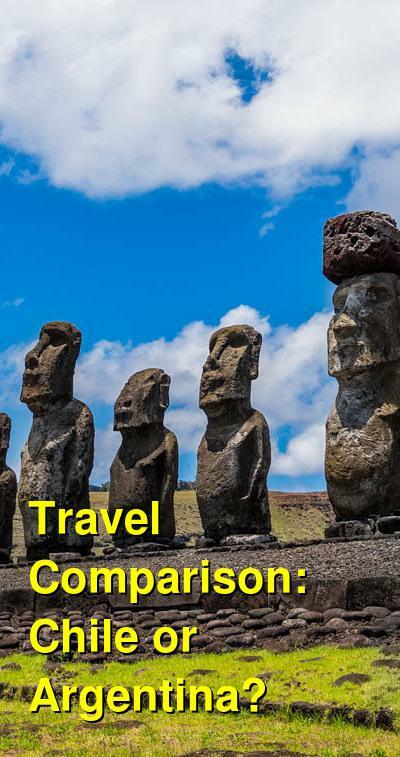 This comparison of travel costs between Argentina and Chile examines average prices across multiple categories. Please visit each country's individual budget page for more detailed information. Should you visit Chile or Argentina? With so much in common from Patagonia to the Andes, stunning blue lakes to spectacular coastlines, snow-capped mountains to impressive volcanoes, majestic glaciers to immense deserts, wine regions to thriving capital cities, choosing between these equally enticing countries can be a tough decision. One of the most convincing reasons to visit either Chile or Argentina is the opportunities each offers for viewing spectacular scenery. However, there are some natural wonders that are unique to each place. Choosing between each country is a matter of preference. A variety of factors are worth considering, including how much time you have, the size of your budget, and your particular interests, both cultural and natural. The top three destinations in Chile include the Torres del Paine National Park in Patagonia for some raw and picturesque scenery and wildlife, The Lake District region, especially for water-sports lovers and Atacama for the desert, salt flat and stargazing. The top three destinations in Argentina are even more divers as they include the romantic capital of Buenos Aires, the majestic Iguazú Falls on the border with Brazil and Los Glaciares National Park in Patagonia for the colossal Perito Moreno. In terms of spectacular scenery, Argentina perhaps has the edge here, being home to the Iguazu Falls, one of the world's most spectacular waterfalls and the Perito Moreno, one of the nation's top tourist attractions and a truly humbling sight. Both Chile and Argentina offer some marvellous opportunities for wildlife-spotting but once again Argentina is perhaps a better destination for wildlife lovers, being home to one of the most celebrated spots. The Peninsula Valdes on coastal Patagonia provides habitats for a great variety of amazing creatures; a truly magical sight. Whales, elephant seals, sea lions and let's not forget the Punta Tombo Reserve, where the world's biggest colony of penguins resides. While Argentina is a little bit cheaper than Chile, Argentine Patagonia is far larger than Chilean Patagonia, meaning that you will have to put the price into travelling from one spot to another. Therefore the difference in budget might not be significant enough to determine which country is best suited for you. Luckily, despite being larger than Chilean Patagonia, the Argentine side is also a bit easier to navigate, as most prized Patagonian destinations, like Perito Moreno glacier, the Tierra del Fuego, Peninsula Valdes, and Bariloche are found near small airports. Chile is a long and narrow strip of land that's almost entirely mountainous with some coastal plains. 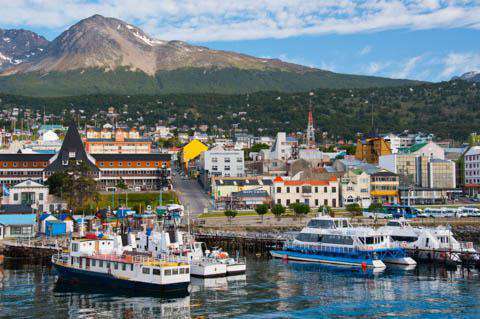 While there are a few airports within the Chile's Patagonian region, travel is mainly handled over land and by water. Therefore the most important question that you need to answer before you head this far south on the globe is how much time you have. It is entirely possible to see many of the major sights in Argentine Patagonia in around 10 days if you are willing to put the price while in Chile, transit is a bit more slow-going. Alternatively, It is also worth considering an itinerary that allows you to explore both countries. However because the two have a lot in common when it comes to landscapes and climates, you might be more tempted to combine one of the two with another South American destination. Argentina, for example, is a particularly good partner for a trip to Brazil. When is the best time to visit Chile and Argentina? In Chile and Argentina, the high season for travel is in the "winter" months of November to February, although a few crazy backpackers come all year. During these "winter" months, the locals are in their summer holidays. They flock to popular beach destinations for a relaxing holiday, to Patagonia for an adventurous experience without having to put up with the freezing cold and other destinations in the country simply to get out of the city. Be aware that ski-resorts in Patagonia can also be packed during "summer" months, and thus winter for Chileans and Argentines. The best time to visit Chile and Argentina therefore depends on the purpose of your trip. Go there from June to September if you plan to spend your days on the snow, preferably avoiding July and August if you do not want to be overcrowded on the slopes. If you want to catch the sun in chic beach resorts and party until the sun comes out, November to February is your time-slot. However, if you are planning to hike through Chile or Argentina and visit the natural wonders of these countries then prioritize mid-seasons. Either go around September to November or from March to May. Both are low seasons, but the spring landscape, September to November, is the nicest of the two. If you do not handle the cold very well, avoid going to Patagonia before mid-October and after April. On the other hand if you love the snow, winter landscapes, skiing and travelling during low season with few tourists and lower prices, you should definitely visit Patagonia during end of autumn or beginning of spring. While you will get all the advantages of travelling during low season, you will also be able to enjoy a sunny weather, still quite cold but manageable. While a few activities (hikes, excursions) will begin to close (end of autumn) or still be closed (towards spring), you will definitely be able to do most of the essential activities and to fully enjoy some of them as you might find that you have a hiking path all to yourself! The differences in prices between low and high season are not tremendous but you will probably be able to save some money on deals with accommodation and a few other fees. Nonetheless if you have specific activities in mind that you wish to do such as camping, driving through Ruta 40 all the way down in Argentine Patagonia or specific hike trails then you should definitely consider travelling around summer time. However be aware that as you get further south, temperatures during summer will not exceed 20°C/68°F and the wind may remain very strong. Why is Chile more expensive than Argentina? Foreigners often have a misconception about all of South America being cheap. This is not the case of Chile. Especially when coming from Bolivia, Chilean prices will come quite as a shock due to the high cost of living in the country. Its political and economic stability means that it is one of the most expensive South American countries and Chile continues to boast one of the highest ratios of executive salary rates to cost of living. When travelling in Argentina, it's easy to be laid back about buying tickets on the day of travel and it often makes no difference at all to do so. However in Chile you can save over 50 per cent on the price of a ticket by purchasing your ticket in advance. Turbus.cl is a great website where you can easily find prices for your destinations. What are the most expensive and cheapest cities and regions in Chile and Argentina? Buenos Aires, in Argentina, is one of the world's most recognizable tourist destinations. It's the birthplace of the tango, has stunningly preserved colonial architecture, a buzzing nightlife scene, and one of the world's trendiest neighborhoods. Buenos Aires but also other northern large cities such as Cordoba, Rosario and Mendoza are known to be rather expensive cities in Latin America. If you decide to visit the wine region, you can buy your own groceries and do your own bike tours in Mendoza to save a considerable amount of money but consider Mendoza as one of your splurge cities. Southern Patagonia both in Chile and Argentina tend to be cheaper than the North. However, travelling through this large piece of land requires a certain budget and certain cities including Ushuaia are surprisingly expensive. In the small towns of southern Patagonia, costs tend to be cheap due to competition. However, sometimes transportation can get pricey and the more frequently visited a destination by tourists, the higher the prices can get. The time of year and festivals can also dramatically affect cost. How you can save money when visiting Chile and Argentina? Chile and Argentina are notoriously expensive countries compared to their South American neighbors. Years of economic mismanagement and economic depression has led to rampant inflation, a black market for currency, and high prices for just about everything in Argentina and the cost of living in Chile is today 18% more expensive than in Argentina. However, while expensive, Chile and Argentina still have plenty of opportunities to save money. Cooking in your hostel's kitchen is one of the best ways to keep your travel costs down, to meet fellow travellers and supermarkets are also great places to go to see what the local people eat. Another good self-cook method is to make your own picnic for lunch, especially if you plan to spend the day outdoors, perhaps trekking in one of the many national parks of Chile and Argentina. Look out for restaurants that offer lunch specials "Menu del Dia", where items on the dinner menu are offered at a huge discount. Buy your own bottles of wine in the supermarket for less than USD$5. Empanada, choripán (sausage on bread) stands, and local burger and pizza shops are not the healthiest food, but it's economical and tasty! Empanadas go for less than $1 USD, choripán for $2 USD, and pizza and burgers lunch specials for around $3 USD. Don't fly domestically, as a two-hour flight can cost as much as USD$200. Unless you are in a rush, privilege taking the bus. While not very common in the north of the country, if you're in Patagonia, you'll see many locals and tourists alike hitchhiking, as long-distance buses in that part of the country can be on the expensive side and infrequent. An inexpensive way to get around and also out of the cities is to rent bicycles from your hostel or rental shops, usually for no more than USD$10 a day. Hiking is free, and throughout the country you'll find plenty of opportunities to enjoy this and other free outdoor activities since Argentina and Chile are blessed with many city parks and nature reserves where you can spend the day wandering around and relaxing. As you start to travel south to Patagonia, accommodation costs get higher. Hostels are often USD$17 USD or more a night as opposed to as cheap as USD$6 a night in Buenos Aires for example. Look for camping opportunities as often as possible. When you aren't in the national parks, many hostels will let you pitch your tent for a small fee.